The mysterious Babylon—a harlot woman sitting on a scarlet beast (17:3)—is a key figure in the latter half of the book of Revelation. Dispensationalists generally believe that Babylon is a physical city which will dominate the nations of the world in the end time. Others believe Babylon is “the world” with its allure and resistance to God. In academic circles, where Revelation is not understood as a prophecy of the future, Babylon is seen as a code name for Rome. Others interpret Babylon as Religion, or the apostate Christian Church, or Roman Catholicism. This article first discusses her characteristics, proposes an identification and evaluates various alternative theories of her identity. But first, where does the name come from? … Nimrod … became a mighty one on the earth … the beginning of his kingdom was Babel and Erech and Accad and Calneh, in the land of Shinar (Gen. 10:8-10). This was the first attempt at world unity against God. God judged this act with the confusion of tongues to scatter the people around the world. Because of this the city was called Babel, which means confusion. Nimrod’s kingdom combined civil and religious authority. Ancient records indicate that Nimrod had a wife named Semiramis who was the founder and first high priestess of the Babylonian mystery religion. She gave birth to a son named Tammuz, whom she claimed was conceived miraculously. This son was considered savior of his people and in effect was the first false Messiah—a counterfeit of God’s promise of a Savior (Genesis 3:15). The son was supposed to have been killed by a wild beast, but brought back to life. The religious system of Semiramis had many secret rites in the worship of its idols. Initiates were intoxicated to prepare them for what they would see, hear and do. These rites involved consecrated male and female prostitution and the most sordid sexual immorality carried out in connection with its idolatrous worship. This religious system, which began in Babel, became the mother and source of the pagan religions of the world. As the cult spread from one location to another the idol images varied, but they all contained one central feature, the worship of the goddess mother (who was called “the queen of heaven”) and her child, in pictures and images of a mother with a child in her arms. Babel was later called Babylon, located in the current Iraq, about 50 miles south of Baghdad on the Euphrates River. Babylon is mentioned 260 times in Scripture, and second only to Jerusalem. These two cities are always seen in opposition to each other. Babylon’s greatest glory was during the time of the Chaldean king Nebuchadnezzar 600 years before Christ. To the Jews, Babylon was where they were exiled under Nebuchadnezzar (Jer. 29:1), who invaded the land, destroyed the city of Jerusalem and the temple, and deported Judah’s king. From this point in history, there has not been a king from the line of David sitting on the throne of David in Jerusalem. So historically we see that Babylon begins as the place of man’s rebellion to gather the peoples of the world. But eventually Babylon takes away the land promised by God to His people, the Israelites. Revelation 17 and 18 repeatedly draw imagery from the descriptions in the Old Testament of Babylon and its destruction (Jeremiah 50-51 and Isaiah 47). In both the OT and Revelation Babylon dwells on many waters (Jer. 51:13; Rev. 17:1, see also Ps. 137:1), boasts: “I sit as queen and am no widow, and will not see sorrow” (Rev. 18:7; Isa. 47:7-9), commits much sorcery and spells (Rev 18:23; Isa 47:7-9), is suddenly destroyed, on one day (Jer. 51:8; Rev. 18:8; Jer. 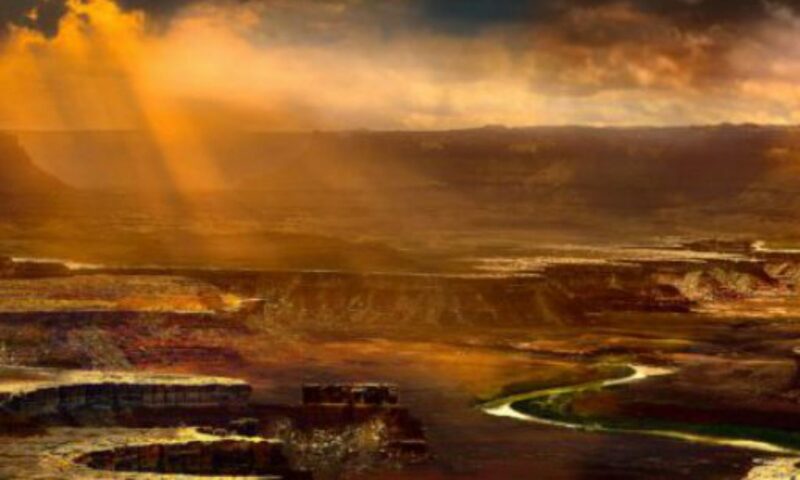 51:30; Isa 47:7-9) by fire (Jer. 51:30; Rev. 17:16; 18:8), final (Jer. 50:39; Rev. 18:21), and deserved (Jer. 51:63-64; Rev. 18:21). Furthermore in both the OT and Revelation Babylon is associated with a golden cup, the contents of which makes the people of the world drunk (Jer. 51:7; Rev. 17:3-4; 18:6). Literal interpreters conclude from this use of the Old Testament in the description of future Babylon as proof that the predicted literal destruction is still future. However, Revelation also uses imagery from the description of another mighty OT city—Tire—to describe Babylon. Both Tire and Revelation’s Babylon are described as women with daughters (Ezekiel 26:6; Rev 17:5). The music of both Tire and Babylon will be silenced (Ezekiel 26:13; Rev 18:22). The princes of the sea will lament over both Tire and Babylon (Ezekiel 26:16; Rev 18:17-19), and cast dust on their heads (Ezek. 27:30; Rev 18:19) and say “Who is like” this city (Ezek. 27:32; Rev 18:18). Both Tire and Babylon of Revelation are wealthy (Ezek. 27:12, 18; Rev 18:12, 13), supporting trade via ships (Ezek. 27:9; Rev 18:19). The wealth of both Tire and Babylon enriched others (Ezek. 27:33; Rev 18:19). Both Tire and Babylon will cease to be forever (Ezek. 27:36; Rev 18:21). Furthermore, Revelation itself indicates that the meaning of the imagery changes. For example the waters on which Babylon sits was the physical Euphrates in the OT. In Revelation it is explicitly defined as the peoples of the whole world (17:15). It therefore changed from something physical to a symbol. In the OT “sitting” simply means Babylon was built on the river. In Revelation the meaning of “sitting” becomes a symbol of a corrupting influence (17:2). Something physical becomes a symbol. In the OT it is said that Babylon “is fallen”, and by that is meant that it will surely physically fall. The same phrase is use in Revelation to indicate that it has already fallen spiritually, because it became a prison of evil spirits (18:2). In Jeremiah 51 Babylon is a gold cup in God’s hands. This symbol changes in Revelation to a gold cup in Babylon’s hands. The general principle is that language may be borrowed from the OT, but the meaning changes, and should therefore be understood symbolically. “in her was found the blood of prophets and of saints and of all who have been slain on the earth” (18:24). Secondly, he third angel warns against the beast, its image, and its mark (14:9). This message will therefore be given while the image is putting the mark of the beast on people (13:16). It may therefore be fair to assume that all three angel messages are relevant to this massive and world-wide conflict. But we find a surprise mention of Babylon in 14:8, where the second angel announces her fall. It is surprising to find Babylon mentioned by the three angels because she has not been mentioned anywhere in Revelation 13. Again it is concluded that Babylon must be involved in the war in Revelation 13, being part of the other four evil characters. The second time that Babylon is mentioned in Revelation is in 16:19, in the final and seventh plague, where she receives God’s “fierce wrath”. This is another surprise mention, because she was not mentioned in any of the prior plagues. The dragon, sea-beast, false prophet, the demon spirits coming out of their month (16:10, 13), and the kings of the whole world (16:14) were mentioned as aggressors, but then Babylon is punished. Again we must conclude that Babylon is part of these evil characters. Another indication that Babylon is part of the trio of the Dragon, Beast and False Prophet is that they all deceive the peoples of the world. Babylon makes the nations “drunk” with “the wine of her immorality” (14:8; 17:2). The dragon “deceives the whole world” (12:9). The “whole earth was amazed and followed after the beast (from the sea)” (13:3). The false prophet “deceives those who dwell on the earth” (13:14). So what is the relationship between the two beasts? They clearly overlap in meaning, because they both have seven heads and ten horns. What then is their relationship? The Sea Beast is identified as the 11th horn of Daniel 7 (see the article on the seven headed beast of Revelation), and therefore as a specific entity, existing in a specific period. In contrast Babylon is represented as sitting on the seven heads, which are seven consecutive “kings” (17:10) or empires, which means that Babylon exists during each of the seven consecutive heads. In Revelation the number seven means “completeness” in terms of time. It may be understood as meaning “for the full period”. The seven heads may therefore be understood as all the kingdoms of human history, which would mean that Babylon also exists for all of human history. However, most commentaries link the seven heads to seven specific empires, including Babylon, Mede-Persia and Greece. (Please refer to the article of the Seven Headed Beasts of Revelation.) This means that Babylon ruled over these empires as well. Babylon therefore cannot be limited to our time or to sometime in the future. Babylon, and the scarlet beast, on which she sits, therefore do not represent a specific entity that is limited to a specific time period, but symbolizes a general principle, namely the control of Babylon over the civil and political powers of the world in all generations. The Sea Beast is one application and example of this principle, and consists of both the scarlet beast and Babylon, during the period of the Sea Beast. Furthermore, Revelation 17 reveals that Babylon sits on and reigns over the seven-headed beast (17:3, 18). Babylon is therefore the anti-God driving force behind the Beast power. In Revelation 13 the Beast is in charge, since all who dwell on the earth will worship him (13:8), but Revelation 17 reveals that it is really Babylon that is in charge. The Beast and his Image are worshiped (14:9), but Revelation never says that Babylon or the False Prophet is worshiped. Another link between Babylon and the False Prophet is what they do. Babylon makes “all the nations drink of the wine of the passion of her immorality” (14:8). Similarly the False Prophet performs signs (13:13) to deceive those who dwell on the earth (13:14). Babylon is therefore comparable to the False Prophet, but they are not the same. In the first place, the False Prophet comes into existence after the Sea Beast (13:11, 12), and is therefore also a specific entity exiting at a specific point in time, compared to Babylon which exists during all empires mentioned above. Secondly, the False Prophet is destroyed at the return of Christ (19:20), while Babylon is destroyed earlier at the hands of the final and evil confederacy of kings (17:16; 16:19). To explain this last point: In the seventh plague Babylon receives the cup of the wine of God’s fierce wrath (16:19). Then Revelation 17 and 18 provide background information to this event, explaining why she has to receive this penalty, and well as more detail about this event, such as that she is actually destroyed by the consortium of 10 kings (17:16) which is the final phase of the Beast power (17:11, 12). Then in Revelation 19 the great multitude in heaven praises God for Babylon’s destruction. Revelation 19 therefore continues from the seventh plague, with Revelation 17 and 18 being an interruption of the chronological flow. The next scene—after the joy is heaven—is the return of Jesus to destroy His earthly enemies (19:11-20:3). The seventh plague ends with the peoples of the world blaspheming God (16:21). In contrast the return of Christ ends with the death of the lost multitude (19:21). It therefore seems clear that the return of Jesus is not part of the seventh plague, but follows after the seventh plague. Babylon is destroyed during the seventh plague, while the Beast and False Prophet are thrown into the lake of fire as part of the return of Jesus (19:20). Therefore it is concluded that Babylon is first destroyed, and then later the Beast and the False Prophet. 16:19 refers to a great city that splits into three parts. The term “great city” (16:19) is only used of Babylon (Rev. 14:8; 17:18; 18:10, 16, 18, 21), but once also for the new Jerusalem (Rev. 21:10). But as the heavenly Jerusalem will never be destroyed (22:5), the “great city” in 16:19 is Babylon. Because Babylon splits into three parts some propose that Babylon consists of the Dragon, the Beast and the False Prophet. However, since the Beast and the False Prophet still exists after Babylon is destroyed, this cannot be true. Babylon sits on “many waters” (17:1), which is explained as “peoples, multitudes, nations, and tongues” (Rev. 17:15). This four-fold phrase, consisting of four words that essentially have the same meaning, signifies that this includes all peoples of the world. In Revelation the number 4 has the meaning of “the entire world” (7:1). It is therefore possible to conclude that Babylon is not the peoples of the world, and secondly that her influence is world-wide. Her world-wide influence is also indicated by the fact that “the kings of the earth have committed fornication’ with her (17:2). None seems excluded. Another indication of this is that she is guilty for all the deaths of God’s people who died for their faith (Rev. 18:24 cf. Rev. 17:6). She deceived the nations (Rev. 18:23). She makes them “drink of the wine of the passion of her immorality” (14:8; 18:3). This wine which she makes the people drink makes them “drunk” (17:2). Babylon therefore has some sort of corrupting and intoxicating influence on the people of the world so that the people cannot distinguish right from wrong. She leads the people away from the truth of God. She teaches corrupting delusions. The harlot’s name is Babylon is, but this is not her real name because this name is described as a “mystery” (17:5). Her name is symbolically Babylon. Revelation also calls her “Sodom and Egypt, where also their Lord was crucified” (11:8). (The term “great city” in 11:8 is always used for Babylon (17:18; 18:10, 16, 18, 19, 21; 16:19).) According to 11:8 these are “mystically” her names, which also emphasize that these are also symbolic names. Because Babylon was one of Israel’s major enemies in the Old Testament, the name “Babylon” implies this entity is the enemy of God’s people. “Sodom” was a city of ill repute . It emphasizes the morally “fallen” condition of this enemy of God. Egypt was not a city, but a nation, being Israel’s first major enemy. The words “where also their Lord was crucified” can either refer to the city Jerusalem or the nation of Israel, but here mentioned as the killer of God’s people. (In Revelation the names “Jerusalem” and “Israel” are only used in a positive sense.) The “great city” (11:8) is therefore called by various names, each conveying a different characteristic. This argues against the popular interpretation of the city as an end time reconstructed physical city on the site of the ancient Babylon. In addition to being to being a woman, Babylon is also a harlot (17:1), and the kings of the earth commit immorality with her (17:2; 18:3). Many commentaries conclude from this that the “harlot” symbol means that Babylon is a religious entity, but It is proposed here that this symbol (harlot), by itself, based on the background texts in the Old Testament, does not mean Babylon is a religious entity, but simply means that Babylon is sinful; to depart from the LORD, to murder, rebel, steal, accept bribes, chases after rewards. It means not to defend the orphan, or to listen to the widow’s plea or to do what the Lord commanded. See Appendix B for a discussion of the OT background texts. Revelation never says that Babylon commits adultery, which might have implied that God is her husband. It only says that she is a harlot, and commits immorality. The symbol of a harlot by itself does not imply that she is a wife. Babylon is the “mother of harlots and of the abominations of the earth” (Rev. 17:5). Babylon therefore is the source and origin of harlotry (spiritual idolatry) and abominations, which was passed on to her daughters. Long before the time of Nebuchadnezzar, Moses identified certain practices as abominations (Lev. 7:18; 11 cf. Deut. 18:9-12). Since the Harlot is the mother of the abominations of the earth, she must predate Moses. This supports the conclusion above that she exists for all human history. Babylon is not some amorphous entity such as culture or “power of money” or “the world”, because she will be destroyed by the final confederacy of kings; the ten horns of the beast (17:16), which “are ten kings” (17:12). For the kings to be able to destroy her, she must be something specific. In Revelation there are two contrasting women. Babylon is called a harlot (17:1, 3). The pure woman is the bride and wife of Christ (19:7; 21:9), representing God’s people (2Co 11:2; Eph. 5:25-27), also called the “New Jerusalem” (21:10). Babylon says “I AM NOT A WIDOW” (18:7), which implies she is married. The Bride is referred to as “the wife of the Lamb” (21:9). The harlot Babylon is arrayed in purple and scarlet, glittering with gold, jewels, and pearls (17:4; 18:16-17). But Babylon is also very different from the New Jerusalem. Babylon is “the great harlot” (17:1); the immoral mother of “abominations” (17:2, 5; 18:2), a “dwelling place of demons” (18:2). The New Jerusalem, on the other hand, is the faithful “Bride, the wife of the Lamb” (21:2, 9). Nothing “unclean”, no “abomination” shall enter New Jerusalem (21:27; 22:3a). It is “holy” (21:2, 10), “the dwelling of God” (21:3, 22). The wars described in Revelation are essentially between these two women, because the one tries to kill the other (18:24). One is persecuted, the other is the persecutor. The harlot of Chapter 17 is the aggressor, drinking the blood of the saints (17:6). Consequently, while Babylon will be judged, hated, consumed and destroyed (Rev. 14:8; 16:19; 17:16; 18:17, 19; 19:1, 2) while the New Jerusalem will enter into the marriage supper of the Lamb (18:7), and exist for all eternity (Heb. 13:14; Rev. 22:5). These demonstrate that Babylon is the very antithesis of the New Jerusalem. The harlot Babylon is therefore the personification of that earthly city which is to be seen in contrast to the heavenly city—the New Jerusalem. She is an earthly counterfeit bride of Christ—that heavenly city, which is His church. This provides support for Babylon identification as false religion. Babylon is not some general malignant force which accidentally also persecutes God’s people. She is exclusively in opposition to God’s people, as indicated by her being drunk with blood of God’s people (17:6). In Babylon “was found the blood of prophets and of saints and of all who have been slain on the earth” (18:24). This declares her to be the enemy of God’s people, not just an enemy. She persecutes and kills them. Babylon is fallen (14:8; 18:2). This is often understood as that she will one day fall, similar to how this term is used in the Old Testament (Isa. 21:9-10), but 18:2 adds “She has become a dwelling place of demons and a prison of every unclean spirit, and a prison of every unclean and hateful bird”. This implies she was previously something better, and that her fallen state has to do with her immorality. This is another instance of something that is meant physically in the OT, which becomes a symbol in Revelation. John was “greatly astonished” when he saw the harlot (Rev 17:6). He was in fact, “dumbfounded” or “greatly perplexed.” What he saw was therefore much unexpected. This is hard to follow if John had seen only the persecuting Roman Emperors or hostile leaders in Jerusalem or a literal end time city. That was all familiar to his experience. However, if he had seen the change that would take place in the institutional church of Christ, the apostolic church, that the pure woman would become intolerant and bloodthirsty, that would have been truly dumbfounding. In Revelation 16 the plagues first fall on the followers of the Beast only (16:2). They therefore become aware that they were deceived by the Beast powers. Therefore the popular support for Babylon dries up, symbolized by the waters of Babylon (the Euphrates) drying up. Then the eighth head of the beast—the final consortium of kings—forms in preparation for Armageddon (16:14, 16). They then kill Babylon as the first phase of Armageddon (17:16). The fact that Babylon is destroyed by the lost peoples of the world, when they realize that she deceived them, and they are consequently eternally lost, implies that her deception led them away from God, which implies her nature is religious. Understood this way, the non-Jews who call themselves Jews are people within the Church. In Pergamum the problem is: “you have there some who hold the teaching of Balaam” (2:14). Again the problem is within the Church, not a challenge from outside. In Thyatira the challenge comes from “the woman Jezebel, who calls herself a prophetess, and she teaches and leads My bond-servants astray” (2:20). In the history of Israel, Jezebel influenced her husband King Ahab to use civil force to promote the worship of Baal and to persecute Elijah and other followers of Yahweh; the political, legalized murder of the saints of God. Jezebel therefore foreshadowed the reign of the harlot Babylon—the apocalyptic Jezebel—who will use the political rulers to persecute the followers of Christ. As type of end time Babylon, Jezebel is not a foreign government, but the corrupting forces which developed among God’s covenant people. False religion is what drives the dragon, beast and false prophet, and has as its main objective the destruction of God’s people. It originated with Nimrod & Semiramis shortly after the flood, existed for all of human history, and became the source of all false religion—world-wide. False religion is not the peoples of the world, but leads people away from the one true God. The name Babylon serves as symbol of her false religion’s opposition to God’s people; it is not her real name. It is something specific, which the kings can destroy, once they become aware that it deceived them. Babylon is represented as sitting on a seven headed beast, explained as the rulers (kings) of the world (17:10, 12 and 18). If Babylon is understood as Religion, sitting on the beast, then we have a picture of Religion controlling the political powers of the world. Various astute rulers in the long history of human government, rightly estimating the tremendous power of religion over the minds of men, have been greatly intrigued with the idea of some kind of union between religion and state, in which the government would establish and support some widely accepted religion and this religion in turn would lend its influence to the state. All such alliances thus humanly originated have been based on selfish motives and opportunist policies on both sides, and hence must always break down in the end. A union between religion and state is safe only when inaugurated and controlled by the one true God in a kingdom of His own (Zech. 14:9, 14:16-21). The national policy of complete separation of church and state, which most sensible people fully approve under present conditions, is not however the ideal policy. It is rather a policy of precaution in a sinful world, where political and ecclesiastical power too often gets into the wrong hands, and the result is intolerable oppression. But under the personal rule of the Messianic King the union of church and state will not only be safe; it will also be the highest possible good. While Babylon the kings and the peoples are outside of Babylon, indicating by her sitting on them (17:3, 15), the merchants are part of her, indicated by the statement “your merchants” (18:23). Some have therefore concluded that Babylon is mammon—wealth (Mat 6:24). Wealth does fit some of Babylon’s characteristics, such as existence for all of human history, and being world-wide, but nowhere in the Bible is a woman used as a symbol for wealth. Furthermore, how can it be said that the power of money is fundamentally opposed to God’s people, and the ultimate cause of all the prophets and saints that were ever “slain on the earth” (18:24)? It is rather Jerusalem that kills the prophets and stones those who are sent to her (Mat 23:37). How can it be said that the power of money received a fatal wound, but recovered (13:3)? (Since Babylon rides the Beast, Babylon goes through the same period of relative incompetence.) Why would the evil kings of the earth agree to join forces to destroy the power of money (17:16), and how could they? What would constitute “immoral acts” between the power of money and the kings of the world (18:3)? So, who are the merchants of Babylon? One possible explanation is that it is simply highly figurative language which should not be interpreted. Such an argument may be based on the fact that much of the merchant language in Revelation 18 comes from Ezekiel 27 and 28, where the destruction of Tyre is prophesied. Tyre is also described as very wealthy, and the source of the wealth of her people (Ezek. 27:9, 33). However, experience teaches that everything in Revelation is important, and that language from the Old Testament is ingeniously used to describe end time realities. A second possibility is that they are literal merchants, but as explained elsewhere, Babylon is not a literal city. Then it should follow that the merchants cannot be literal merchants. When Laodicea says they are rich, this arguably means that they see themselves as right with God; as spiritually wealthy. When Jesus says they are poor, it means they are not right with God. Wealth is therefore a symbol of spiritual condition. This brings us back to the merchants. If “wealth” relates to spiritual condition, and “buying” symbolizes salvation, then the merchants must be preachers and pastors. Deceiving is what the devil does (12:9; 20:3, 8, 10), and also the false prophet (13:14; 19:20). Deceiving, and therefore “merchants” could therefore appropriately be understood as Satan’s representatives, and therefore as the leaders of false religion. They are the great men because they trade in the religious authority of the harlot, concluding agreements with the political authorities. They are the religious office bearers that trade in false religion’s principles and doctrines: her leaders, preachers, ministers, priests, bishops, and so forth. It is her wealth (sensuality) that attracts the political authorities to her because the political authorities desire to merge with religious authority to strengthen their control over the people. The relationship between the kings and the harlot is immoral (18:3) because religion is supposed to have relationships with God only. This immoral relationship intoxicates the people (18:3) because they submit more readily to the combined political and religious authority. The statement “for in one hour such great wealth has been laid waste!” (18:17) refers to the destruction of religious authority, when the political powers of the world turn on Babylon to destroy her (17:16, cf. 16:19), after the peoples of the world withdrew their support from Babylon, symbolized by her water (the Euphrates) drying up, after the plagues fell on her followers only, and they realize they were deceived (16:2). ONE: The fourth beast of Daniel 7 is the Roman Empire, and the horns on the fourth beast are the nations that were formed in Europe when that empire dissolved in the first centuries after Christ. These nations then proceeded to occupy territory in many parts of the world, including the current USA. The focus of the prophecies in the book of Daniel is therefore the nations that eventually became the Western World. Since Revelation is built on Daniel, it is possible that the “whole world” in Revelation may be limited to the Western World, which may mean that Babylon refers to the religious systems particularly dominating the West. TWO: More specifically, the prominent horn of Daniel 7 is identified as a Christian authority. (See the discussion on Daniel 7.) Further, this entity is the same as Revelation 13’s Sea Beast. (See the discussion on the seven headed beasts of Revelation.) The Land Beast then executes the authority of this Christian authority (13:12), which means that the land beast is also Christian. And it is this land beast that convinces the people to erect an image to the sea beast (13:14). Since the image is of the Sea Beast (13:14), and the Sea Beast is a Christian authority, the image is also Christian. The Christian institution then gives the mark of the beast to the followers of the beast (13:15-16). THREE: Persecution in Revelation 13 is individualized and selective of God’s real people. It is not a nation or a race or a language that is persecuted, nor nominal Christian, but the individuals that refuse the mark of the beast (13:17). Systems like Islam and atheism may target Christian nations or nominal Christians, but they are not able to specifically target God’s real people. It is only Christian religions that are able to persecute God’s real people selectively. FOUR: It is difficult to foresee a single world-wide religious movement which will be able to prescribe is laws in Eastern, Muslim, Jewish and Christian nations. FIVE: The beast that creates the image to the beast (13:14) comes out of the earth (13:11). In Revelation the earth and the sea represent the peoples of the earth (12:12), but the earth seems to be a positive or at least a neutral force, because it helps the woman (12:16), in contrast to the persecuting waters (12:16), which are the peoples and nations of the world (17:15). The “earth” therefore represents either Christian nations or religious freedom. SIX: The threat in the seven letters is from within the church. The threats are “those who call themselves apostles, and they are not” (2:2), “those who say they are Jews and are not” (2:9), some people in the church “who … hold the teaching of the Nicolaitans” (2:15), “the woman Jezebel, who calls herself a prophetess” (2:20), those “who say that they are Jews and are not, but lie” (3:9). There therefore seem to be clear indications that the end time conflict is Christian in nature. The modern ecumenical movement, active first among Protestant churches in the first half of the twentieth century, then essentially combining (or at least fellowshipping) with the Catholic and Orthodox churches in the second half of the twentieth century, is currently forming alliances with all other world religions. This may result in one great world religion, but then it will still be dominated by the Christian entities—the Sea Beast and its image. Does that mean that Babylon is also Christian, or can Babylon still refer to all the false religions of the world, including Islam, Hinduism and Atheism? Since Babylon sits on all seven heads, and these heads include Babylon, Mede-Persia and Greece (see the article on the seven heads of the beast), Babylon cannot be limited to Christian Churches. Furthermore, Babylon cannot be limited to the Church because she exists for all human history and is world-wide. However, the end time conflict is a Christian one, being the dominant false religion. Perhaps the reader wonders why Christianity is included with Babylon—false religion—in this commentary. During the Middle Age and even today the Church in many countries has significant dealing with the state, and used the strong arm of government to achieve her goals, persecuting those that differ from her, and has therefore become part of Babylon. Just as Israel killed the prophets and Christ, so the Church, according to historians, has killed millions of God’s people. Therefore the Church can aptly be described as a daughter of the harlot Babylon. The purpose of this appendix is simply to summarise all the characteristics of Babylon, as identified above. Babylon is not the peoples of the world, but has a world-wide corrupting influence on the people of the world. Babylon is not her real name. She is the origin of harlotry and abominations. She controls the kingdoms of the world, and is something specific which the kings can kill. Babylon is the earthly counterfeit bride, exclusively in opposition to God’s people, guilty of the blood of all saints ever killed. She previously was something better, and her altered nature greatly astonished John. She is destroyed by the lost peoples of the world, when they realise that she deceived them, which happens after the temple in heaven is closed, and also after the little horn arises. Based on these texts it is probably safe to limit the interpretation of the “harlot”-symbol as meaning to “depart from the LORD”, to murder, rebel, seal, accept bribes and chase after rewards. It means not to defend the orphan, or listen to the widow’s plea or to do what the Lord commanded in general. In Revelation 17 Babylon is a woman, drunk with the blood of the martyrs of Jesus. This emphasizes religious aspects. In the last verse of chapter 17 (17:18) Babylon is defined as a city, and Revelation 18 continues to describe her as a city, emphasizing commercial aspects. Due to this contrast some dispensationalists propose that the woman and the city are two distinct entities, with the Babylon of chapter 17 as dealing with an ecclesiastical or spiritual or religious entity, whereas Babylon of chapter 18 is a political entity or a commercial system. Consequently they hold that the harlot and the city are judged separately. ONE: In both 14:8 and in 17:2 she is described as the one who “made all the nations drink of the wine of the passion of her immorality”, but in 14:8 her name is simply “Babylon the Great”, not “Mystery, Babylon the Great”. TWO: In the immediate context of the word “mystery” in 17:5, the angel offers to tell John “the mystery of the woman and of the beast which carries her” (17:7). The mystery therefore extends beyond the woman herself to include the seven-headed beast with ten horns. The woman and the city therefore have the same name, namely “Babylon”. The first justification is therefore not valid. Another justification for differentiation between the woman and the city is that the woman of chapter 17 is made desolate, naked, and burned with fire by the beast (17:16), whereas the fall of Babylon in chapter 18 is accomplished directly by God (cf. 16:19-21). However, both are destroyed by God (Rev. 17:17; 18:5, 8) through fire (Rev. 17:16; 18:8-9, 18) and both will become an utter desolation (Rev. 17:16; 18:17, 19). This second proposed distinction is therefore also not valid. The Harlot is explicitly explained to be the city: “And the woman whom you saw is that great city which reigns over the kings of the earth” (Rev. 17:18). Both are clothed in purple and scarlet, and adorned with gold and precious stones and pearls (Rev. 17:4; 18:16), implying great wealth (Rev. 17:4; 18:19). Both persecute believers (Rev. 17:6; 18:20, 24). They have the same effect on the people. 18:24 reads “for by your sorcery all the nations were deceived” (Rev. 18:24), while 17:2 reads “the inhabitants of the earth have been made drunk with the wine of her fornication”. Is this not saying the same thing in different words? An unfortunate contributor to the distinction between the harlot and the city is the chapter division between Revelation 17 and 18, which masks the unity of the entire passage. Chapter divisions are not part of the inspired text and should not influence our interpretations. Anyone who reads chapters 17 and 18 without preconceived ideas would conclude that the woman and city are the same. The differentiation made by some dispensationalists is the result of their overly literal interpretation of the text. The fact that Revelation 17 and 18 represent the same entity in very different words should teach us that this happens also elsewhere in Revelation, and that a literal reading of the text will distort the meaning. Babylon is therefore both a woman and a city (17:18), just as the New Jerusalem is both a woman and a city (21:9, 10). Similarly, Jesus is both a lamb and a lion (5:5, 6) and the beast from the earth is also called “the false prophet” (13:12, 13, 19:20). The “great city”, which is Babylon (18:10), is described in 11:8 with the words “where also their Lord was crucified“. Literally, this is Jerusalem. In Babylon “was found the blood of prophets and of the saints” (18:24). This is also what Jesus said of Jerusalem (Mat 23:35, Luke 11:50-51). The colour and adornment of the harlot (17:4) reflect the Jewish priestly colours of scarlet, purple, and gold (Ex. 28:33). Babylon has “mother of harlots” on her forehead while Judah had a harlot’s forehead, and was a harlot (Jeremiah 3:3-6). But Babylon cannot be Jerusalem because it cannot be said that Jerusalem rules over the kings of the earth (17:18), or that Jerusalem has a dominating influence over the world’s population (17:15), or that the merchants grow rich from Jerusalem’s excessive luxuries (18:3). Since Israel did not even exist as a nation until the time of Jacob, it is obvious that she cannot be the mother or originator of harlots and of the abominations of the earth (17:5), corrupting the earth with her fornication (Rev. 19:2). A common interpretation of Babylon among literal interpreters is that Babylon is a literal city that will be built on the literal Euphrates River, to become the political and commercial capital of the world. This interpretation is based on the observation that there are extensive unfulfilled prophecies concerning the destruction of Babylon in the OT as physical, sudden, violent, literal, complete, permanent and catastrophic like that of Sodom and Gomorrah with absolutely nothing left (Isa. 13:1, 19‑22; 14, 47; Jer. 50:35, 39‑40 51:8, 24‑26). It would become an uninhabitable wasteland. Her walls will be completely destroyed and her gates burned with fire. There will be nothing left of her, no person shall ever reside there, “nor will the Arabian pitch tents there, nor will the shepherds make their sheepfolds there” (Isa. 13:19-20). It “shall be wholly desolate” (Jer. 50:13). “The wild desert beasts shall dwell there with the jackals” (Jer. 50:39-40). This destruction will come in the “Day of the Lord” (Isa. 13:6‑11; 13:1; 14:1‑3; Jer. 50:1‑6). At the time of her destruction there will be a disturbance in the sun and moon (Isa. 13:10). Then “the whole earth is at rest and is quiet; They break forth into shouts of joy” (Isa 14:7 NASB). These prophecies have never been fulfilled as they were stated. On the night that Belshazzar, king of the Chaldeans, was slain and the city came under the control of Cyrus, king of the Medes and Persians, there was no large-scale attack upon the city. In fact, many within the city were not even aware for quite some time afterwards that the city had been taken. Cyrus diverted the waters of the Euphrates and by night entered the city through the dried up channel. This allowed armed forces to wade under her defenses without much of a fight. Babylon fell on October 12, 539 B.C., to Cyrus of Persia, and from that time the city slowly decayed due to competition and neglect. Xerxes plundered it. Even when Greece, the great leopard beast of Daniel’s night vision, came in the empire of Alexander the Great, the city was not destroyed. Alexander marched to Babylon on Oct. 1, 331 B.C., and the Persian garrison offering no opposition. After Alexander, the city was ruled by the Seleucid kingdom during which Babylon’s economy declined sharply due to competition with the establishment of a new capital at Seleucia on the Tigris (274 B.C.). Although the city still stood when Roman emperor Trajan entered it in A.D. 115, by about A.D. 200 the site of the city was deserted. Babylon soon became a desert. Babylon “fell” numerous times at the hands of different invaders, but it never suffered anything like the predicted complete destruction. The land around her did not become des­olate, but continued to be populated and fertile. There was no disturbance in the sun or moon, nor did universal peace follow. The mention of the Euphrates River in conjunction with Babylon is taken to mean that a physical city is in view. The harlot is represented as “sitting on” a beast. The beast is a symbol, “sitting” is a symbol and the harlot is a symbol. These symbols are explained in 17:18. The harlot is explained as the great city. “Sits on” is explained as “reigns over”. The beast is explained as the kings of the world. Because “city” is the interpretation of the harlot, the city must therefore be understood literally; otherwise we should have the anomaly of a figure representing a figure. Place names have their literal significance in Revelation 1:9; 2:1, 8, 12, 18; 3:1, 7, 14 and the writer is very clear to point it out when he intends a figurative meaning as in Revelation 11:8. ONE: Babylon is not her real name (see above). TWO: Babylon is an earthly counterfeit bride (see above). THREE: The Euphrates is redefined in Revelation as the peoples of the world (17:15). The Euphrates is Babylon’s river. Babylon cannot be separated from the Euphrates because Babylon of the OT was built on the Euphrates. If the Euphrates becomes a symbol, then it follows that Babylon also becomes a symbol. The seven lamps are explained as “the seven Spirits of God” (4:5). “Seven” is not literal, because God does not literally have seven Spirits. The “seven” means that God’s Spirit is present for the complete period of man’s existence. The “lake of fire” is explained as “the second death” (20:14; 21:8). If the second death is a symbol of eternal life in hell, then this is also one symbol explaining another. At the end of the vision in Revelation 1 Jesus explained the stars as “the angels of the seven churches” (1:20), but these cannot be real angels. He also explains the seven lampstands as seven churches (1:20). However, these seven churches also represent all churches of history, as discussed elsewhere. The innumerable multitude is explained as the people that washed their clothes in the blood of Jesus (7:14). The two witnesses are explained as “two olive trees and the two lampstands” (11:4) that kill their enemies with fire from their mouth (sic) (11:5). Elsewhere in Revelation more than one symbols are used for the same entity. Jesus is represented by both a lion and a lamb (5:5, 6), and the beast from the earth is explained as “the false prophet”. FIVE: Literal Babylon of old is too young to be the Babylon of Revelation. Babylon exists throughout history, and therefore cannot be a reconstructed city at the end of time. Literal interpreters defend this point by saying Babylon is actually the false systems of worship which originated in Nimrod’s days. If this is the logic, then the name Babylon no longer means what it means in the OT. It then means the persisting influence of that false religion on the kingdoms of the world. Then this interpretation becomes the same as the interpretation of Babylon as the false religion. The only difference is the requirement that the city would be rebuilt. And if Babylon (Babel) existed for all human history in the form of its influence, why does it have to be rebuilt? SIX: If Babylon is taken as a literal city on the Euphrates River because it has that meaning in the OT, the New Jerusalem must also be the literal Jerusalem in Judea, because these two cities stand in opposition to each other. But the New Jerusalem includes all God’s people; from both Israel and the Church (21:9, 10, 12, 14). SEVEN: Babylon has already been destroyed and Old Testament prophecy teaches us it will never be rebuilt. EIGHT: If end time Babylon is to be a literal city, then the events of the book of Revelation are still a long way off. Many decades are required for a city to be rebuilt from nothing and to become the global hub for world trade. This is directly opposed to the principle of “imminence”, i.e. that the rapture may occur at any time, which is often proposed by the same people that propose that Babylon will be a literal city. Some people think of a city as the physical infrastructure, but a city is more properly a very large and complex congregation of people. A physical city without people is not really a city, but a large collection of people is a city, even without proper buildings. In the Academic world Revelation is generally seen not as predictions of the future, but as descriptions of events in John’s time, presented as a prophecy. The academic view is in general therefore that Babylon is Rome of old and the Beast is Nero. This view is based on detailed and complex justifications, mostly based on writings outside of the Bible. Books can be written to oppose this view, but it would not avail much, as academics generally have an a priori assumption against predictions, due to the scientific method which excludes the possibility of the supernatural. Should the reader is interested, the article of “When Daniel was written” provides solid proof that Daniel was written long before Antiochus Epiphanies IV, and even before the Greek Empire, which is specifically mentioned in Daniel 8:21. This is excellent proof of the supernatural ability of God to present predictions in the Bible. Jesus says “I have the keys of death and of Hades” (Rev 1:18), but the pope claims to be “the keeper of the keys” [Catholic Ency. II, p 666]. “Christ Jesus … will judge the living and the dead” (2 Tim. 4:1), but the Pope claims to be the Judge of the Living and the Dead (Catholic Ency. II, p 666; XV. p 126). Jesus promised “I will ask the Father, and He will give you another Helper, that He may be with you forever; that is the Spirit of truth. (John 14:16-17), but the Pope claim to “hold upon this earth the place of God almighty”. [Pope Leo XIII, Great Encyclical Letters, 304]. “the Roman Pontiff … is true Vicar of Christ”. The word “vicar” comes from the Latin word “vicarious” which means substitute (Oxford Dictionary). Jesus said ” do not be called Rabbi; for One is your Teacher, and you are all brothers” (Mat 23:8), but the church claims that the supreme teacher in the church is the Roman Pontiff [Great Encyclical Letters of Leo XIII, p. 193]. TWO: The Catholic Church changed times and laws (Dan 7:25). She changed our calendar. In 1518 Pope Gregory changed our calendar ten days. She changed the laws respecting the Lord’s supper, set up images, enacted celibacy of the clergy. In 1075 Gregory VII declared all clerical marriages invalid. This was the greatest mass divorce in history. She changed the 10 commandments. In general she claims absolute control of all religion. THREE: The Catholic Church has untold wealth. It is “one of the greatest fiscal powers in the world.” [Nino Lo Bello, The Vatican Empire, p.8] The Catholic Church makes most of its money through the doctrine of Purgatory. Many wealthy people over the centuries have bequeathed their estates to the Pope in order to be released from Purgatory sooner, and many over the centuries made large contribution to release their loved ones from Purgatory. FOUR: A characteristic of Babylon is that she is “drunk with the blood of the saints, the blood of those who bore testimony to Jesus” (17:6). Rome’s long history was marked with the shedding of the blood of saints. In 1208 Pope Innocent III warred against the Waldines and Albigines (Bohemian Brethren), in which one million perished. From the beginning of the Jesuits 1540-1580 it is estimated that 900,000 were destroyed through papal cruelty. One hundred fifty thousand perished by the inquisition in thirty years. In the low lands 50,000 persons were hanged, beheaded, burned alive or buried alive for the crime of heresy. Within 38 years from the edict of Charles V, 18,000 were executed. The Popes tried to put down the reformation in Germany and Switzerland. One might consider the Massacre of St. Bartholomew, Martyrdom of John Calas, John Wycliff, John Huss, Jerome of Prague, Tyndale, Luther, Persecutions in Germany, France, Scotland, England, Ireland, persecution of Quakers. The historian W.E. H. Lecky says, “The Church of Rome has shed more innocent blood than any other institution that ever existed among mankind, will be questioned by no Protestant who has a complete knowledge of history.” Some historians have estimated that the persecuting hands of Rome have been reddened by the blood of fifty million saints. I doubt that anyone can come close to the exact number. The Catholic Church is drunk on the blood of Saints. Is there any other institution on the face of the earth that more likely fits the above description? All of this shows how arrogant the Catholic Church was during the dark ages and how she ruled over the kingdoms of Europe. SIX: A further reason for identifying the Catholic Church as Babylon is the similarity between this Church and the ancient religion that originated in the time of Nimrod. This ancient religion takes on different forms in different cultures, but they all contained one central feature, the worship of the goddess mother and her child. Often the names changed, but no matter where you went, pictures and images of a mother (Semiramis) with a child (Tammuz) in her arms were found. SEVEN: The Catholic Church acknowledges that its doctrines are not based on the Bible, but on “traditions”. First Timothy 4:1‑5 gives us one of the primary doctrines of latter day Babylonianism, namely celibacy among the priests. This has led to horrible atro­cities in the Roman Catholic Church. In Chiniquy’s book, Fifty Years in the Roman Catholic Church, he says that a young student priest was question­ing a superior about this doctrine of Rome and received the following reply: “You have spoken as a true heretic…you speak of the Holy Scriptures just as a Protestant would, do you appeal to them as the only source of Christian truth and knowledge. Have you forgotten that we have the holy traditions to guide us, the authority of which is equal to the Scriptures?” This nullified Scripture on the basis of human tradition (Mark 7:13). Such a position refuses to allow people to carry out their responsibility to func­tion as Berean believers, “examining the Scriptures daily to see whether these things were so” (Acts 17:11). EIGHT: The purple and scarlet—in which the “woman was clothed” (17:4)—is the ecclesiastical dress of the Roman Church, which on occasions also involves glittering jewels and of course the gold cup. Many Protestants think of the Catholic religion as unattractive and that its worship is a dull, meaningless round of ceremony. Here they mistake. Romanism is not coarse and clumsy. The religious service of the Roman Church is a most impressive ceremonial. Its gorgeous display and solemn rites fascinate the senses of the people and silence the voice of reason and of conscience. The eye is charmed. Magnificent churches, imposing processions, golden altars, jeweled shrines, choice paintings, and exquisite sculpture appeal to the love of beauty. The ear also is captivated. The music is unsurpassed. The rich notes of the deep-toned organ, blending with the melody of many voices as it swells through the lofty domes and pillared aisles of her grand cathedrals, cannot fail to impress the mind with awe and reverence. This outward splendor, pomp, and ceremony, that only mock the longings of the sin-sick soul, are evidence of inward corruption. The religion of Christ needs not such attractions to recommend it. In the light shining from the cross, true Christianity appears so pure and lovely that no external decorations can enhance its true worth. It is the beauty of holiness, a meek and quiet spirit, which is of value with God. The problem with taking Babylon to be either Rome or Roman Catholicism is her relatively late appearance as a major empire. She did not exist throughout human history. Neither is she global. Have the kings of Asia and Africa committed fornication with the Papacy? It is true that the Italian pontiffs have ruled over a wide territory, yet it is also true that there are many lands which have remained untouched by their religious influence. It is evident from these two points alone that we have to go back to something which long antedates the rise of the Papacy, and to something which has exerted a far wider influence than has any of the popes. The Catholic Church may be the prime example of the organization representing Babylon in our time, but Babylon itself is much bigger and older, and also includes other religions. Babylon is the mother of all harlots and abominations of the earth. From her have come ancient paganism, Chinese Confucianism, Asian Buddhism, Indian Hinduism, Shamanism, Taoism, Shintoism, animism, astrology, witchcraft, spiritism, Sikhism, New Age Movement and all the world’s vast complex of “gods many, and lords many” (1 Corinthians 8:5). Texe Marrs in his book Dark Secrets of the New Age lists nearly 30 rituals and beliefs found in ancient Babylon that are practiced today in the New Age Movement! Everything from reincarnation to occult meditation was commonplace 3,000 years ago. The New Age thus is a revival of the Old Age. Roman Catholicism is not “the mother of the harlots and of the abominations of the earth,” i.e., the mother, or fountain head of all the systems of idolatry which have since flooded “the earth” from that one great source. Romanism is only a daughter. Of concern in this age is the direct descent of modern scientism and evolutionary humanism from this ancient mother of harlots. Modern evolutionism is in no way scientific, being contradicted by all true facts of science, but is merely a revival of ancient Greek (and ultimately Babylonian) evolutionary pantheism. Dear sir perhaps Revelation is a 7 times told story and follows the pattern of Daniel’s book, the other beloved disciple of the Lord. 1-3, 4-7, 8-11, 12-14, 15 -16, 17-19, and 20-22. This fits with your post that the book is not linear. I have always seen the ROMAN CATHOLIC CHURCH as the best representation of MYSTERY BABYLON, but a thought came to me as I was reading this article. I suddenly remembered that HE told me when the HOMOSEXUALS rights law was passed in the USA that, the POPE is the ANTI-MESSIAH, that makes CATHOLICISM a male factor. THE MESSIAH also told me that OBAMA was his wife, that is political in nature. Can mystery Babylon be a political entity that comprises of all races, nations and tribes. who founded their laws deceptively on the ALMIGHTY but serves the devil instead? Who also claims to be the leader of CHRISTIANS AND THE FREEDOM TO WORSHIP but has gradually influenced nations by exporting devil worship in the name of THE MESSIAH to the whole earth? I am as obscure a person to comment on your work as you may find . If you are hoping to find the commentary of a learned scholar on the topic of Babylon , read no further . It would seem to me that Babylon is a form of artificial intelligence generated by people and their submission to ‘the way things are.’ The thought of a Babylonian society has been growing slowly in the Petrie dish of human history and finally beginning to take shape. So many factors needed to bring it to life are witnessed in daily events that do not make the news. Blaring headlines like the corruption in churches of all faiths and governments are but the tip of the iceberg , as are the advent of the web and global communication . An old science fiction premise that with enough computer power will cause a machine to become conscious may be plausible in a manner of thinking . If enough impetus is given to the evil machinations of man , then perhaps it too can become a person . Some of the most barbaric acts of man today are only made possible by the use of modern technology . Young men in the Sudan who herd goats like their ancestors did ages ago now are armed with cel phones and in contact with jihadists thousands of miles away. We are inundated with forms of harlotry never imagined in the minds of the most evil person who lived during Biblical times . It is now ‘normal ‘ to fly 35000 miles above the earth at the speed of sound and this feat is accessible to people of moderate income. The greatest percentage of people in western society can do so for the cos t of a day’s wages and consequently richer than Solomon in all his glory. We take all this as a matter of course and fail to make the connection between what is and how it affects us in our relationship with God who sees it all from the vantage of not being limited by time and space . Are we guilty of some kind of sin that has not been heard of before or is our modern existence just more of same ? I think that the people of the world are the architects of Babylon and the hand maidens of it’s Whore . It seems to me that many Christians think/believe that the Battle of Armageddon will occur at some time before the end of this present day world. I believe that when man dies, he suffers the first death. But if he dies in Christ, he passed from death to life and enters into His kingdom. He will be of the saints which be with Him when He comes again. Saints have overcome the world and are not in danger of the second death. But those who died not in Crhist shall remain (asleep) in their graves. When Jesus calls the dead to come out of their graves, they and those alive shall be gathered and then separated. The sheep will then enter into His kingdom and reign with Him for 1,000 years while Satan is bound. The saints will be priests. When the 1,000 years end Satan will be loosened and those in the outer darkness and those who did not believe shall be quickened. Satan shall again tempt every soul and those who endure shall not be in danger of the second death. Those who refuse to repent and/or believe shall be cast into the lake of fire. >>> For some reason, I believe that the lake of fire is not eternal torment: for Proverbs 1:27; Matthew 10:28 speak of destruction and to be destroyed is to perish, not eternal torment. I believe that the world is deceived even as Jesus said it would be, even the elect if it were possible. If there are any of God’s elect in the world today, He has not yet called them together. We should pray that He does: for for their sake, these days shall be shortened. ‘Their worm does not die, And the fire is not quenched. Next PostNext What makes this commentary different?